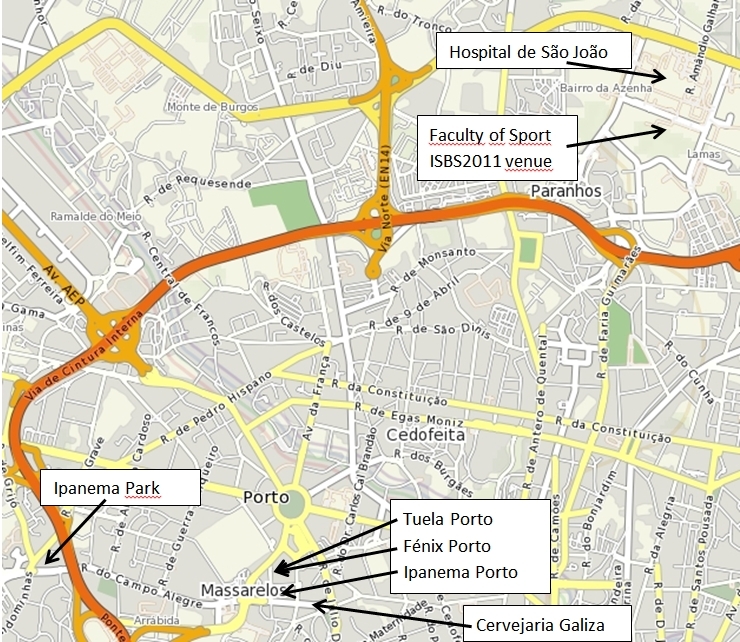 The ISBS2011 organization will provide transportation from the Porto International Airport to the Hotels (Ipanema Park, Ipanema Porto, Fénix Porto and Tuela Porto) on Sunday (26th) afternoon and Monday (27th) morning. Please be prepared, as the air temperature may be high. Do not forget your sunglasses. Please include the information regarding your session and presentation identification (ID). During the conference, you will be asked to visit the “Authors Ready Room” (two sessions prior to the scheduled one) to check the presentation, or to had some last minute changes. Following the ISBS tradition, the Poster Sessions will not have a chairperson. Authors are invited to display the Posters early in the morning of the scheduled day (except those scheduled to the 28th who shall display their Posters on the 27th) and to remove them on the evening of the schedule day. Please follow the link on the left menu. Recall that the ISBS2011 organization will not refund the registrants in any case. All participants can freely access to wireless internet connecting to the network ISBS2011 within the congress areas. We have NEWS for the STUDENTS REGISTRATIONS! Please note that the Closing Banquet and the Barbecue are included in this special fee (both for early and late registered students). The special price for the paper book Biomechanics in Sports 29 will be 25€ (50% of the cover price). ISBS2011 Printing Services already available! WELCOME TO THE 29th ANNUAL CONFERENCE OF THE ISBS! As the president of the International Society of Biomechanics in Sports (ISBS) I welcome all conference participants, ISBS members, their accompanying persons, presenters, and industrial exhibitors to the 29th annual ISBS conference on sports biomechanics. The organizers have made special effort to provide a platform both for science and for social events in Porto, Portugal, a UNESCO World Heritage Center in Western Europe, known for its rich culture and history. For this my thanks to the organizers, represented by the conference chairs J. Paulo Vilas-Boas and António Prieto Veloso. ISBS has a 29 year history for organizing annual conferences. In 1982 the first symposium took place in San Diego, California, USA. Since then symposia respectively conferences were held worldwide with sites in North and South America, Europe, Asia and Australia. Each place had something special to offer. In some years it was the nature with incredible landscapes as last year in Marquette, Michigan or in 1995 Thunder Bay in Canada. At other times the conferences were organized in mega cities like 2000 in Hong Kong, 2005 in Beijing, China, and 2008 in Seoul, Korea. A third category of hosting places are the small to medium size old cities as Konstanz, Germany in 1998, Caceres, Spain in 2002, or Salzburg, Austria in 2006. All places had some good surprises, which enhanced the spirit of ISBS in sharing ideas in the area of biomechanics and allowing participants to make new friends, work and research partners. I am not able to reveal what surprises awaits us at Proto. 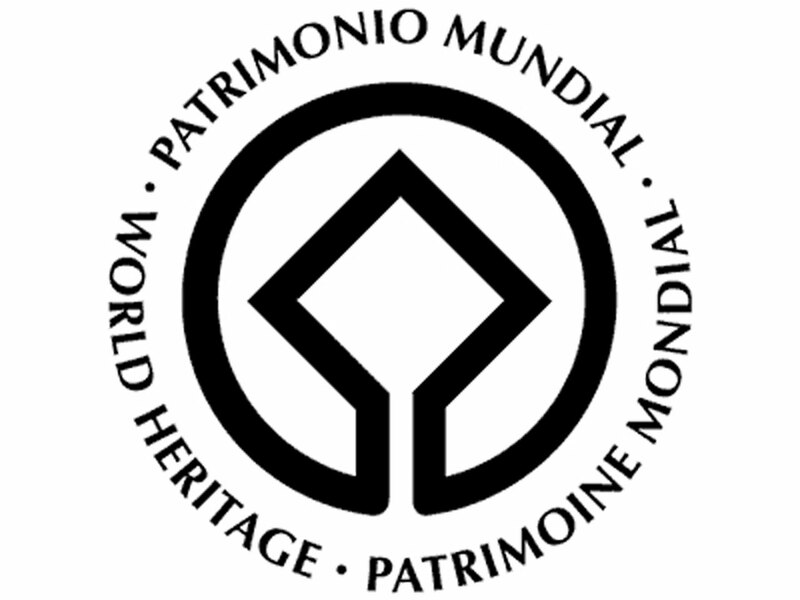 But I am certain a place being recognized as UNESCO World Heritage Center, with the long standing tradition of a cosmopolitan mindset, and with the commitment of the organizers and the support of the patrons the conference is bound to be successful. Scientifically, ISBS stands for the exchange of ideas for sports biomechanics researchers, coaches and teachers. This years conference will continue to forward this practice and provide a forum to bridge the still existing gap between researchers and practitioners. The hosts take care of this task by organizing a five day conference. It will be a mixture of oral and poster presentations, with keynote lectures, parallel sessions, applied programs and social activities. I am very happy to congratulate Youlian Hong as this years Geoffrey Dyson Award winner, which is the most important acknowledgement of research ISBS has to offer. He will present his Geoffrey Dyson memorial lecture on the first day of the conference. Beside this another highlights will be the Hans Gros New Investigator Awards, with three prizes in the oral category and three in the poster division. We look forward to new talents in our field of research. So again, it is my great pleasure to welcome you all to the 2011 ISBS annual conference in Porto and wish you all to enjoy a both inspiring and entertaining event together with ISBS. As the Rector of the University of Porto, I am delighted to greet all the participants at the Annual Symposium of the International Society of Biomechanics in Sports (ISBS) 2011. It is with great pleasure that our University welcomes such distinguished speakers and congressmen, only wishing to honour the canons of hospitality of the city of Porto. Our city is well-known by its warm way of welcoming whoever visits it, leaving a feeling of longing at the time of farewell. Its fascination lies on the great mosaic of urban typologies, history records, visual references and feelings within its perimeter. There is not one, but several “Portos”, all equally seductive. And all this because since the high Middle Ages until the present day, the city always knew how to become an active character of History in its country, in Europe and in the World. Porto gave its name to Portugal and to one of the most famous wines in the World.The city gave birth to Prince Henry the Navigator, to whom we owe in good measure the heroic endeavour of the seafaring discoveries. Porto distinguished itself as a trading metropolis between the XV and the XVIII centuries, earning a commercial aptitude never to be renounced. Moreover, the city of Porto was the bastion of Liberalism in the XIX century, the vital centre of the 1800’s Portuguese culture, the driving force of the most industrialized region in the country, UNESCO World Heritage Centre in 1996, and the European Capital of Culture 2001. Along this historic path, the city shaped its personality, becoming very peculiar and indelible. This personality emerges in the architectonic matrix of the burg, in its cultural and artistic manifestations, in its political role and in the sociological characteristics of its People. Although its origins trace back to the XVIII century, the University of Porto was officially established at the 22nd of March 1911. Nowadays, very close to completing its 100 years of existence, our institution is the largest Portuguese university. It provides education to nearly 30 thousand students, it comprises 14 faculties covering all the main areas of human knowledge, possesses 69 recognized research units and it is responsible for more than 20 per cent of all Portuguese scientific production indexed at ISI WoS. For all these reasons, the University of Porto is steadily approaching the group of the 100 Best European Universities. We have been developing efforts to improve its internationalization level, namely by hosting important international events. Having said these words, we exalt the ISBS organization and the Faculty of Sport of the University of Porto, also for its initiative to cooperate with the Faculty of Human Kinetics of the Technical University of Lisbon. To analyse and discuss the dimension of Biomechanics in Sport it is a worthy objective, for it will allow the sharing of knowledge in a key field of studies for a better understanding of the athletic potential of the human body. Knowing what we are, as well as our limitations, is one of the noblest acts of Science. It is not a surprise that Universities and their research centres are more and more important concerning the production of scientific knowledge in sport sciences’ fields of study. However, this knowledge will transcend sport reality and will be similarly important in other field of studies. In this area of expertise, the University of Porto is proud to be in the forefront of what is done today worldwide. Nowadays, the Faculty of Sport of the University of Porto has had relevant positions among the biggest investigation centres in Sports. Therefore, the knowledge produced by this Faculty has helped to improve the athlete performance not only at a national but also at an international level. On behalf of FADEUP there is, as a matter of fact, a committed effort on international cooperation, precisely related to the flux of knowledge and the horizons of human improvement it conveys. Because of the undeniable quality of the programme and its speakers, it is my conviction that at the ISBS, there will be place for new theories about sports and new approaches will be found. You can count on the University of Porto to make all this possible. As Rector of the Technical University of Lisbon I proudly support the initiative of The Faculty of Human Kinetics through their Biomechanics and Functional Morphology Laboratory and the Neuromechanics Research Group to organize the XXIX Conference of the International Society of Biomechanics in Sports, and welcome all the distinguished participants in this important event of one of the Sports Sciences more relevant specialized international scientific societies. With almost 3 decades, ISBS had a substantial growth in academic and scientific status without losing the connection to the sports practice. 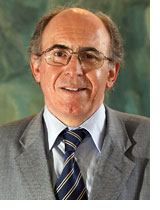 The Faculty of Human kinetics of the Technical University of Lisbon has a long tradition of contribution for the development of the ISBS, with several Faculty Staff serving as members of board of directors of ISBS and being also responsible for the organization of the very successful XIV Symposium held in 1996 in Funchal, Madeira by Professor João Abrantes. The Technical University of Lisbon has a very strong tradition in Biomechanics Research. Scholars from Technical University of Lisbon had a leading role for the establishment of the Portuguese Society of Biomechanics (SPB) being an UTL Professor the first president of the SPB. Two Laboratories are operating: the Biomechanics and Functional Morphology Lab. at the Faculty of Human Kinetics established in 1987, and, a more recent, Biomechanics and Biomaterials Lab at the School of Engineering. Both Laboratories have been able to obtain substantial support from national and international scientific financing agencies and from the industry. With this support a substantial scientific production was obtained as well as strong applicative cooperation with society. In this context the FMH Biomechanics Laboratory as developed the capability to be relevant to sports biomechanics and the optimization of sports performance and will keep improving for the future. The relevance of Biomechanics in the Faculty of Human Kinetics it’s clearly showed by the recent creation of the first specialization in Biomechanics in Portuguese Universities, with the PhD program in Kinesiology. The Technical University of Lisbon is by any ranking at the top of Portuguese Universities and their Faculties lead in their scientific field with outstanding international networks and recognition. As one example the Interdisciplinary Centre for the Study of Human Performance" (CIPER), of the Faculty of Human Kinetics is the biggest and the top ranked Research Unit in the Sports Sciences field in Portugal. For these reasons is natural that the ISBS choose the Biomechanics and Functional Morphology Lab. of the Faculty of Human Kinetics for organizing their Annual Congress. The organization of the 29th Conference of the ISBS will allow the establishment of cooperation links between the participants. The extraordinary quality of the invited speakers, were we can find some the most renowned researchers in Biomechanics, and the variety of the applied symposiums and technical workshops will guarantee an exciting and educational conference. The Faculty of Sport of University of Porto (FADEUP) and the Faculty of Human Kinetics of the Technical University of Lisbon (FMH-UTL), give you a warm welcome to the ISBS Congress that will take place at Oporto from the 27th June till the 1st July 2011. The two biomechanics laboratories from both Faculties, are deeply involved in the organization of the ISBS Congress 2011, because they recognize the relevance of it in a national and international scientific production scenario. Because of this, we are willing to correspond to your trust and expectations by trying to create an opportunity of scientific gathering and of cooperation proposals in the biomechanics field of studies. Furthermore, this year we are celebrating the 100th Anniversary of the University of Porto. All of this invites us to carry out a high level congress and also, to give to you our best in order to last in your memory as a cultural and social reference. The city of Oporto is World Heritage by UNESCO. We want you to feel that spirit in your communications and debates, when tasting food and wines, in your dialogues and celebrations of friendship that will make remarkable the Congress. 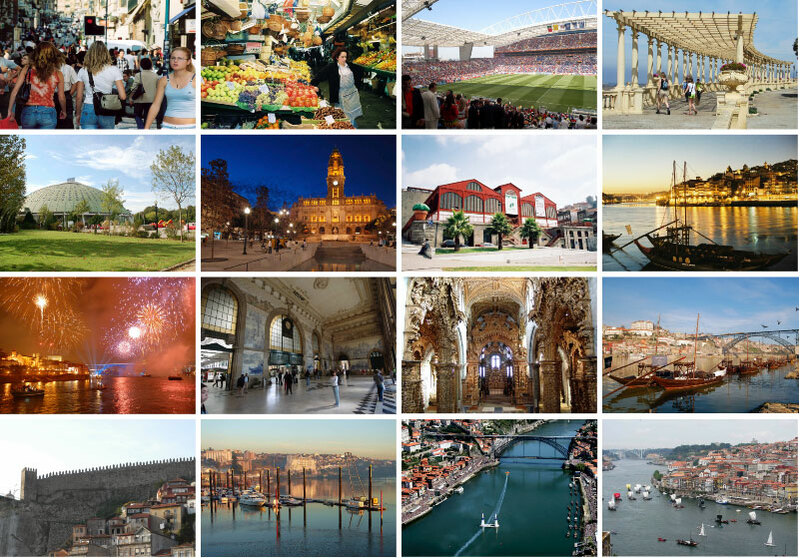 Finally, Oporto and Portugal, a city and a country of discoveries, are waiting for all of you. This time you will be the discoverers and we will be the discovered. Biomechanics in general, and sports biomechanics in particular, are growing in Portugal. To this growing process it was not strange the organization of the ISBS Symposium in Funchal, Madeira Island, in 1996, by the hand of the Faculty of Human Kinetics of the Technical University of Lisbon (Chairman: João Abrantes). In fact, this very successful organization empowered sports biomechanics in Portugal, allowing a new generation of sport biomechanicists to excel, as it can be confirmed by the growing number – and quality - of the Portuguese participants on the ISBS Symposiums of the last decade. Presently, Biomechanics in general, and Sports Biomechanics in particular are experiencing a new growing burst in Portugal. The foundation and revitalization of the Portuguese Society of Biomechanics (SPB) – that supports this organization – is surely one of the catalysers. This growth is quite perceptible in Lisbon and in particular on the Technical University of Lisbon, where two main Laboratories are operating; a Biomechanics and Functional Morphology Lab. at the Faculty of Human Kinetics, and a Biomechanics and Biomaterials Lab. at the School of Engineering. In a recent development at the Faculty of Human Kinetics was created the first specialization in Biomechanics in Portuguese Universities, at the PhD program in Kinesiology. The FMH, Biomechanics and Functional Morphology under the designation of Neuromechanics Research Group has being evaluated as “very good” by the Portuguese Science Foundation. In Porto, and surrounding northern part of the country, different university institutions are promoting this scientific domain with substantial results. At the Porto University, for instance, different faculties are getting together their efforts to allow the creation of a empowered biomechanics macrostructure (the Porto Biomechanics Laboratory - LABIOMEP), closely related to sport, but also to the health sciences, dentistry, biomedical engineering, and the national industry. Convergent with this growth in biomechanical research in Portugal, particularly in Lisbon, but also in Porto, the Technical University of Lisbon and the University of Porto became the two most productive Portuguese universities. University of Porto will be celebrating its 100th anniversary during 2011, meaning that hosting the ISBS Annual Symposium is one of the major happenings of the celebration’s programme. The interest of promoting the ISBS2011 conference was twofold: (i) empowering and balancing the growth of biomechanics in the country and in its northern region, together with the creation of the Porto Biomechanics Laboratory (LABIOMEP), and (ii) celebrating the centenary of the Porto University with the organization of a world event on an emergent and interdisciplinary scientific domain - Biomechanics - applied to one of the most relevant sociologic elements of the XXI century – Sports. ISBS will profit from this initiative once it will be surrounded by relevant and strong partners, spread from different backgrounds, but converging into biomechanics, all concentrated in the organization of its annual symposium; Portuguese sports will profit from this consolidated scientific happening through the emphasis that will be given to the Applied Programs bridging the theory to practice gap; and the Portuguese academic community will gain both from the new income of knowledge, but particularly from the original synergy built to share this organization between the two major sport science faculties in the country: the Faculty for Human Kinetics, Technical University of Lisbon, and the Faculty of Sport, University of Porto. It is our most distinguished pleasure to welcome you all to Portugal. We can ensure you that this will be a memorable event. Please… be prepared!